Dried and pressed four leaf clover. Found in "Article Thirty-Two" by John R. Oliver. 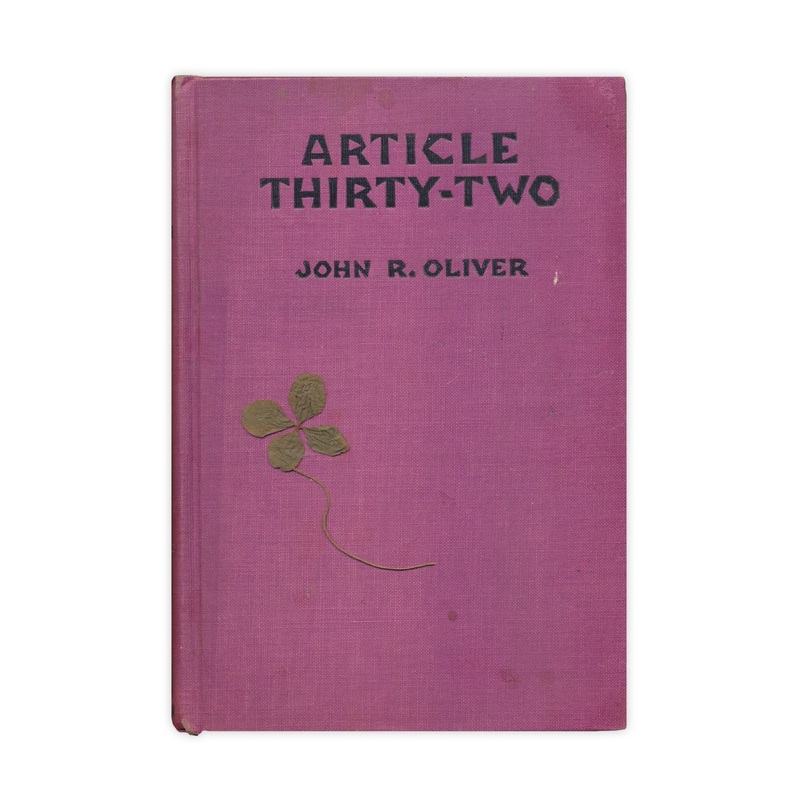 Published by Macmillan, 1931.